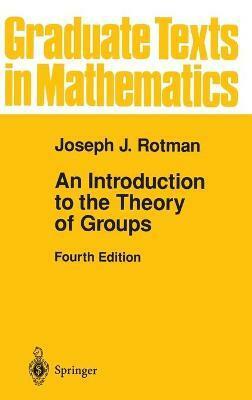 Anyone who has studied abstract algebra and linear algebra as an undergraduate can understand this book. The first six chapters provide material for a first course, while the rest of the book covers more advanced topics. This revised edition retains the clarity of presentation that was the hallmark of the previous editions. Illustrations note XV, 517 p.
1 Groups and Homomorphisms.- Permutations.- Cycles.- Factorization into Disjoint Cycles.- Even and Odd Permutations.- Semigroups.- Groups.- Homomorphisms.- 2 The Isomorphism Theorems.- Subgroups.- Lagrange's Theorem.- Cyclic Groups.- Normal Subgroups.- Quotient Groups.- The Isomorphism Theorems.- Correspondence Theorem.- Direct Products.- 3 Symmetric Groups and G-Sets.- Conjugates.- Symmetric Groups.- The Simplicity of An.- Some Representation Theorems.- G-Sets.- Counting Orbits.- Some Geometry.- 4 The Sylow Theorems.- p-Groups.- The Sylow Theorems.- Groups of Small Order.- 5 Normal Series.- Some Galois Theory.- The Jordan-Hoelder Theorem.- Solvable Groups.- Two Theorems of P. Hall.- Central Series and Nilpotent Groups.- p-Groups.- 6 Finite Direct Products.- The Basis Theorem.- The Fundamental Theorem of Finite Abelian Groups.- Canonical Forms; Existence.- Canonical Forms; Uniqueness.- The Krull-Schmidt Theorem.- Operator Groups.- 7 Extensions and Cohomology.- The Extension Problem.- Automorphism Groups.- Semidirect Products.- Wreath Products.- Factor Sets.- Theorems of Schur-Zassenhaus and Gaschutz.- Transfer and Burnside's Theorem.- Projective Representations and the Schur Multiplier.- Derivations.- 8 Some Simple Linear Groups.- Finite Fields.- The General Linear Group.- PSL(2, K).- PSL(m, K).- Classical Groups.- 9 Permutations and the Mathieu Groups.- Multiple Transitivity.- Primitive G-Sets.- Simplicity Criteria.- Affine Geometry.- Projective Geometry.- Sharply 3-Transitivc Groups.- Mathieu Groups.- Steiner Systems.- 10 Abelian Groups.- Basics.- Free Abelian Groups.- Finitely Generated Abelian Groups.- Divisible and Reduced Groups.- Torsion Groups.- Subgroups of ?.- Character Groups.- 11 Free Groups and Free Products.- Generators and Relations.- Semigroup Interlude.- Coset Enumeration.- Presentations and the Schur Multiplier.- Fundamental Groups of Complexes.- Tietze's Theorem.- Covering Complexes.- The Nielscn-Schreier Theorem.- Free Products.- The Kurosh Theorem.- The van Kampen Theorem.- Amalgams.- HNN Extensions.- 12 The Word Problem.- Turing Machines.- The Markov-Post Theorem.- The Novikov-Boone-Britton Theorem: Sufficiency of Boone's Lemma.- Cancellation Diagrams.- The Novikov-Boone-Britton Theorem: Necessity of Boone's Lemma.- The Higman Imbedding Theorem.- Some Applications.- Epilogue.- Appendix I Some Major Algebraic Systems.- Appendix II Equivalence Relations and Equivalence Classes.- Appendix III Functions.- APPENDIX IV Zorn's Lemma.- APPENDIX V Countability.- APPENDIX VI Commutative Rings.- Notation.